The Palazzo Franchetti was divided and shared as a residence by different branches of illustrious Venetian families for the first three centuries, from the mid-15th century to the mid-19th: the Marcello, the Gussoni and the Cavalli. 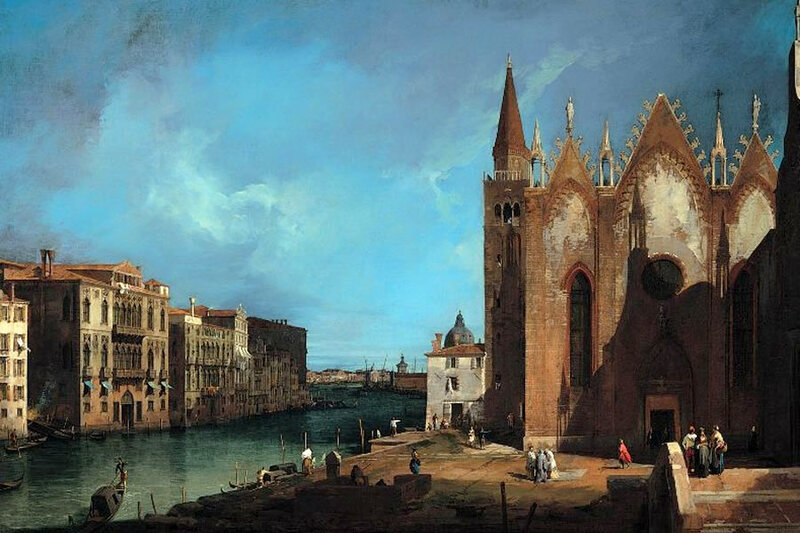 In the Canaletto painting shown here, Palazzo Cavalli can be seen on the left as it was at the start of the 18th century. In the 1840s Archduke Frederick of Austria reunited the property and began a complex modernisation project intended to give the building the modernity that distinguishes it; in 1847 it was bought by Count Chambord for the French legitimist Henry V, who engaged Giambattista Meduna to carry out its restoration. In 1878 Baron Raimondo Franchetti bought the palazzo, which remained in his family until September 1922 when it was sold to the Istituto Federale di Credito per il Risorgimento delle Venezie by his widow, Sarah Luisa de Rothschild. The name of the architect Camillo Boito, who carried out major alterations and designed the monumental staircase, is linked to this period.